Our annual Books & Essays special issue is out, packed with feature essays, author profiles, new books and a fall reading list. 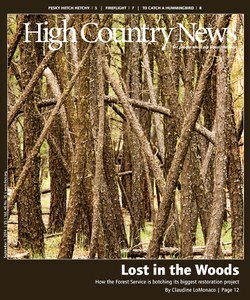 The Forest Service struggles with its biggest restoration project yet, fireflies are rediscovered in Utah, California drought and more. 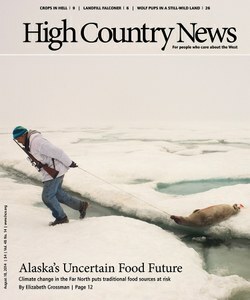 Climate change threatens food security in parts of Alaska, Colorado’s fracking fight, prickly pears are farmed in California, a coal mine expansion is halted in a surprising climate court case, and more. 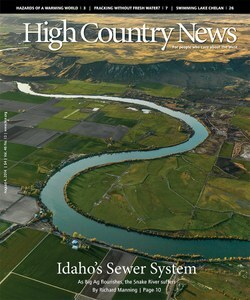 The Snake River is used as a sewer system for Big Ag in Idaho, temperature predictions for Western cities in 2100, women in the legislature and potential protection for wolverines in an era of climate change. 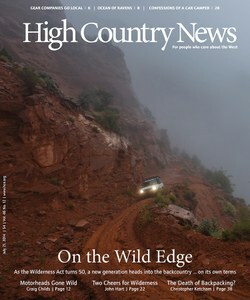 Reflections on wilderness at 50, Craig Childs riding with motorheads in Utah, and what a historic moment for the Clean Air Act means for climate. 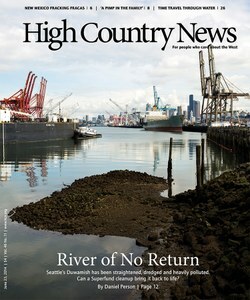 A close look at Seattle’s embattled Duwamish Waterway and the superfund cleanup that has the chance to bring it back to life, tribes get in the payday lending game, divers explore underwater national park treasures, and more. National security runs roughshod over the Arizona desert, a radioactive leak in New Mexico makes the future of nuclear waste disposal even more elusive, wolverines, brine shrimp, and more. 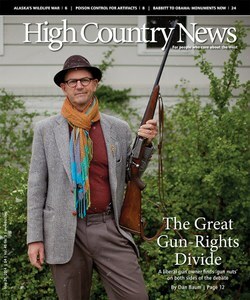 A liberal gun owner finds 'gun nuts' on both sides of the debate, an excerpt from Julene Bair's book 'The Ogallala Road,' state and federal agencies feud over predator control in Alaska, California's water crisis, and more. 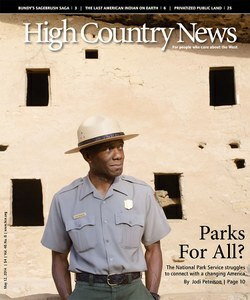 The National Park Service struggles to connect with a changing, and diverse, America. A Nevada rancher creates a Sagebrush Rebellion flare-up that’s particularly fierce. State wildlife agencies try to broaden funding sources as their duties and responsibilities expand. 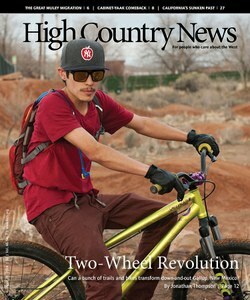 A biking revolution in Gallup may bring new life to this sleepy town, a look at why dangerous places are often the most desirable to live in, discovery of a fish in Montana, and more. A paralyzed athlete pushes the limits of adventure sports, a prime grizzly-watching spot, monster mosquitoes, travel horror stories and more from our third-annual Travel Issue. 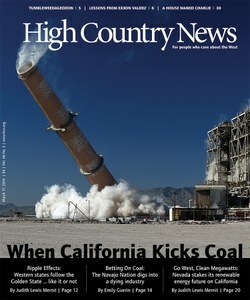 As California kicks its coal habit, economies across the West feel ripple effects. 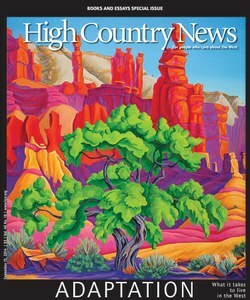 The Navajo Nation digs into its coal economy, geoduck fishermen in the Pacific Northwest take a new tack, and more. 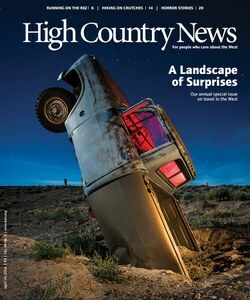 A small Nevada town struggles with a legacy of cancer, a Californian works to protect ancient petroglyphs in the face of solar development, the newly unendangered minnow, and more. 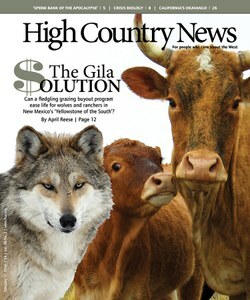 A grazing buyout program to ease tensions between ranchers and wolf advocates in New Mexico, Native American super heroes, a bacteria that could save bats and frogs from deadly disease, and more. 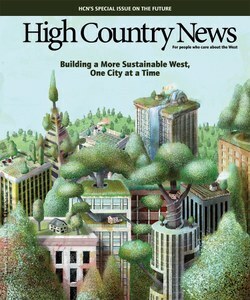 In HCN’s second annual issue dedicated to the future of the West, we take a special look at urban sustainability. 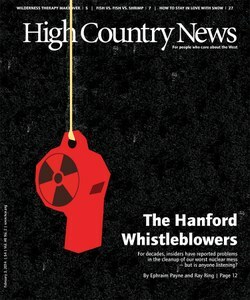 Packed with facts, figures, and uncommon narratives, this issue includes stories of new and surprising sustainability initiatives in Los Angeles, Seattle, San Francisco, Phoenix, Las Vegas, and more. 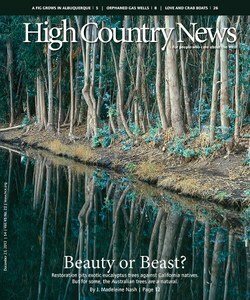 Eucalyptus trees continue to push out California natives and stir controversy over where exotic species belong. 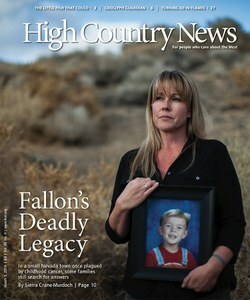 Plus, Utahans respond to EPA vehicle emissions restrictions, a New Mexican’s love of figs, and more. 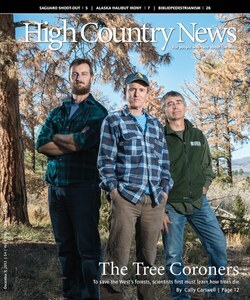 To save the West’s forests, scientists must first learn how trees die. 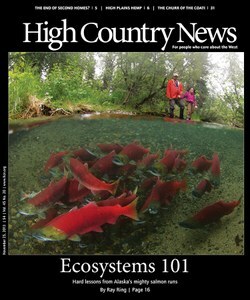 Research reveals the complexity of the Bristol Bay ecosystem and of Alaska’s mighty salmon runs. 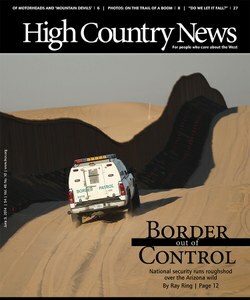 Plus, Montana tribes will be the first to own a hydroelectric dam, an Oklahoma senator offers a financial fix for our national treasures, and more. 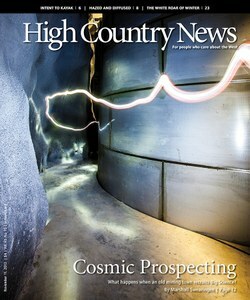 An old South Dakota mining town transforms itself by investing in an underground neutrino research facility, upstart kayakers try to get rivers opened to boaters in Yellowstone, mountain goats get paintballed in Idaho, and Southwesterners continue to be utterly fascinated with the possibilities of outer space.